Because many of our items are limited edition and one-of-a-kind, we cannot offer returns or refunds on these items. 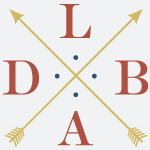 For those items available for return, LDBA will accept merchandise in its original condition for exchange or store credit when accompanied by the original sales slip. We will not accept merchandise that has been worn, used, altered or damaged. Returns must be made within 5 business days of their receipt. Please note that shipping costs will not be subject to refund. Orders are processed in and ship from Brooklyn, NY, U.S.A. You will receive an email confirming your order directly after order placement. You will receive another email confirming shipment within 5 business days. All shipments are sent out using USPS First Class, Priority Mail or Flat Rate Priority Mail. Customers in the U.S. can expect their package within 7–10 business days after order placement. International customers can expect their package 14–24 days after order placement. Some of our products are made in small quantities or are one-of-a-kind, and once these products are sold out they will no longer be available. We apologize that there are no wait lists for items that are sold out. Our online store accepts payment in the form if credit card (Visa, American Express, Master Card, and Discover) and Pay Pal.